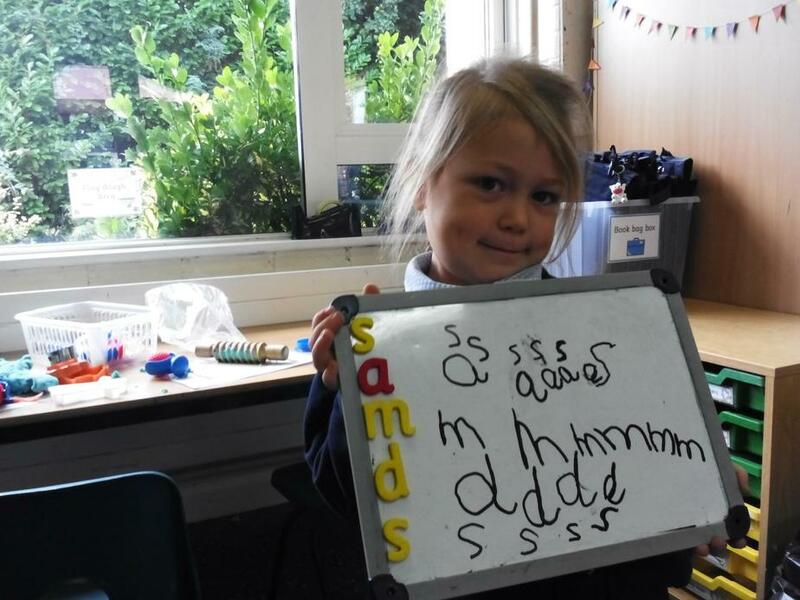 We have started learning our first sounds this week, learning a new sound every day! 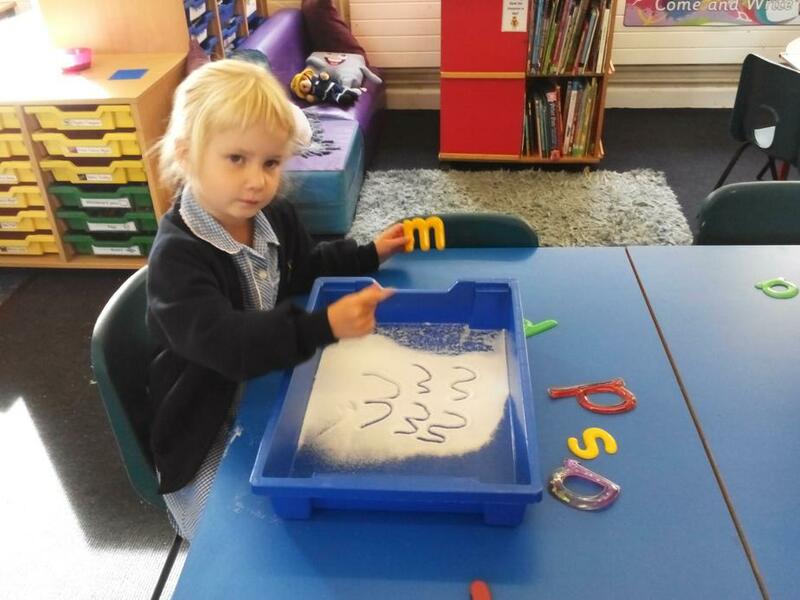 Giant class have shown great concentration practising saying and writing our new sounds and learning the rhymes to match the letter shapes. 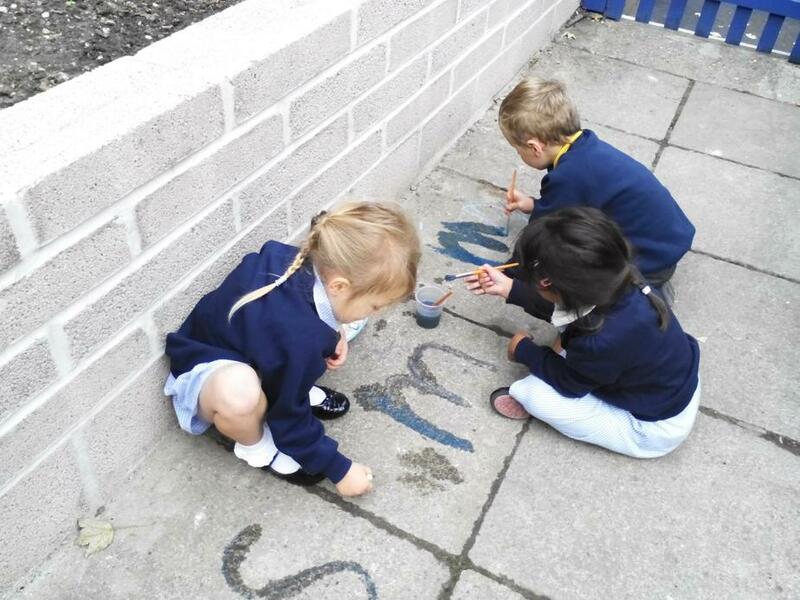 ‘Sssss’, ‘Slither down the snake’ has been our favourite so far! 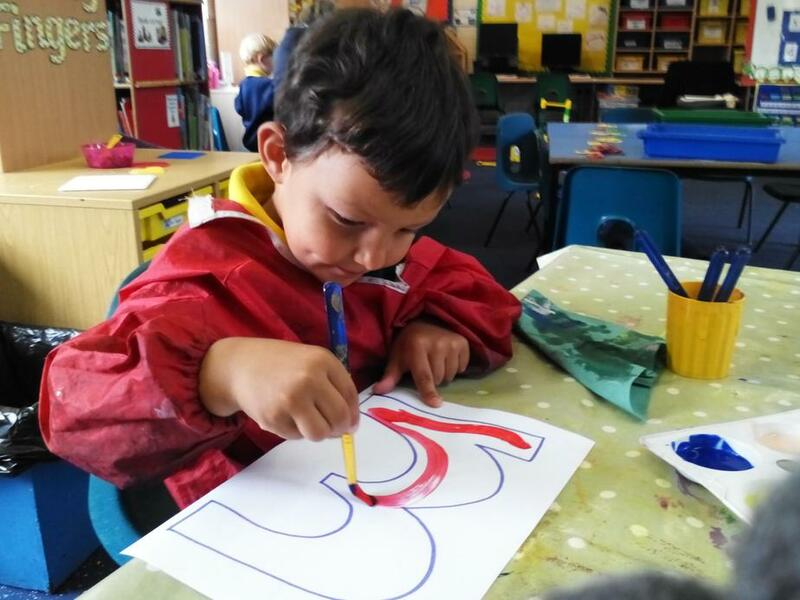 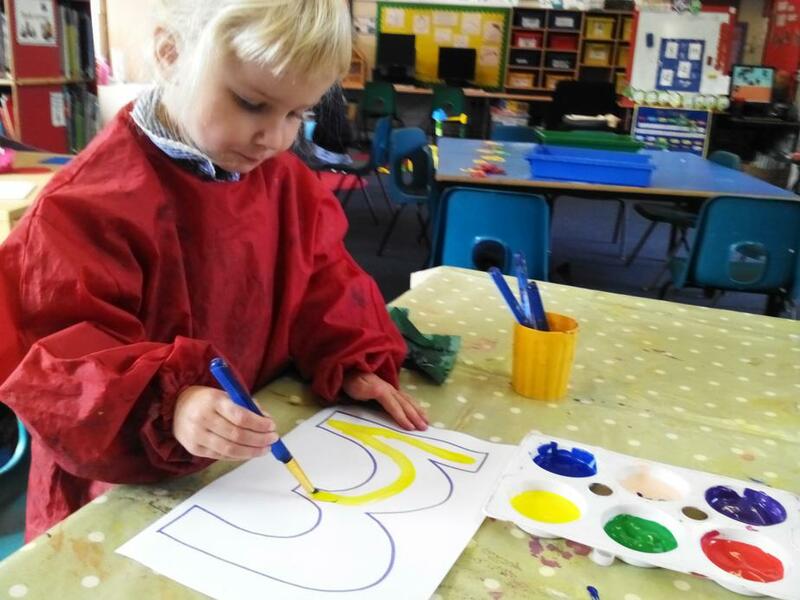 The Giants have also been practising writing their names, painting bubble names and using their name cards. 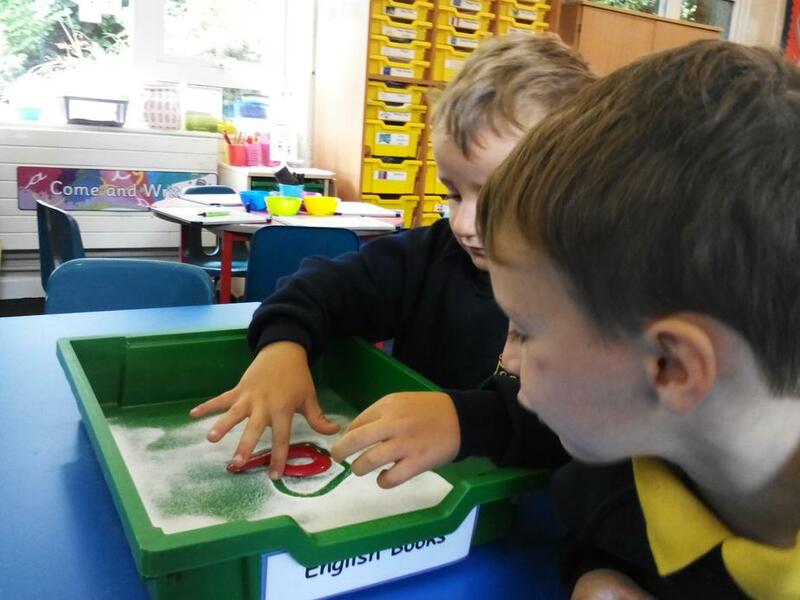 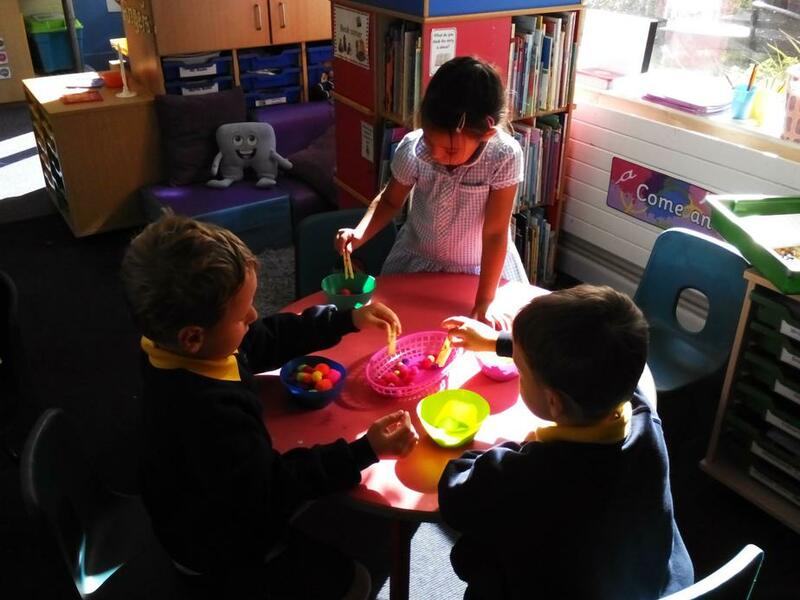 We have started our daily finger gym sessions, building up the muscles in our fingers to get them ready for writing! 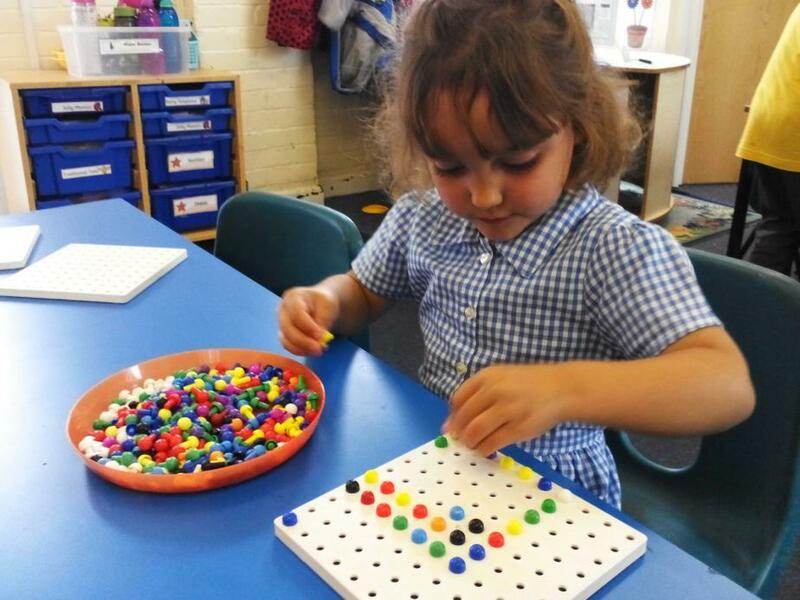 Our fingers have been working hard, using tweezers to pick up and collect little sticks and sequins.